Happy Saturday! I'm so glad to be back with you today. Life has been busy and I've been trying to do too many things. Stretching myself too thin can sometimes take the fun out of doing things. Do you ever feel like that? So I have decided to close down some of my social media accounts. Don't worry - Donna's Designs isn't going anywhere. I will continue to have this blog, Donna's Designs Facebook page, Twitter, Instagram, Tumblr, Pinterest and Google+. I plan to continue to share with you my crafting projects, garden tours, trip excursions, love of Longaberger baskets and experiences with essential oils. Today I want to show you a product I have been using for several months and just love it! 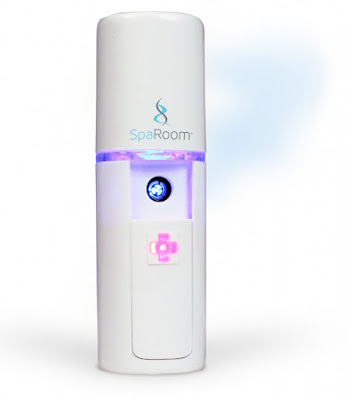 Have you wanted to enjoy the spa experience while on the go or at the office? 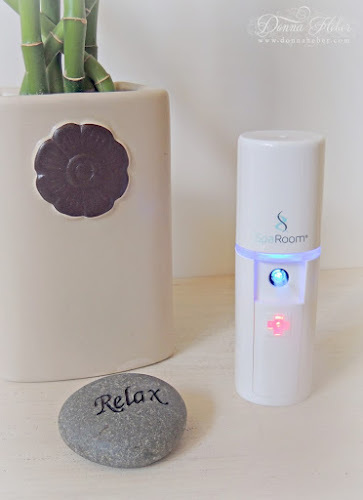 I have to tell you about the mini personal mistifier by SpaRoom. It is sleek, compact and spill proof. It has all the benefits of a diffuser, but is completely portable and safe for travel (powered by 2 AAA batteries). It uses no heat or chemicals and keeps the air fresh around you with the slide of a button. It is so cute and fits right in my purse measuring only 4" high. Just add distilled water to the 10ml compartment and a couple drops of your favorite therapeutic-grade essential oil. It's that easy! 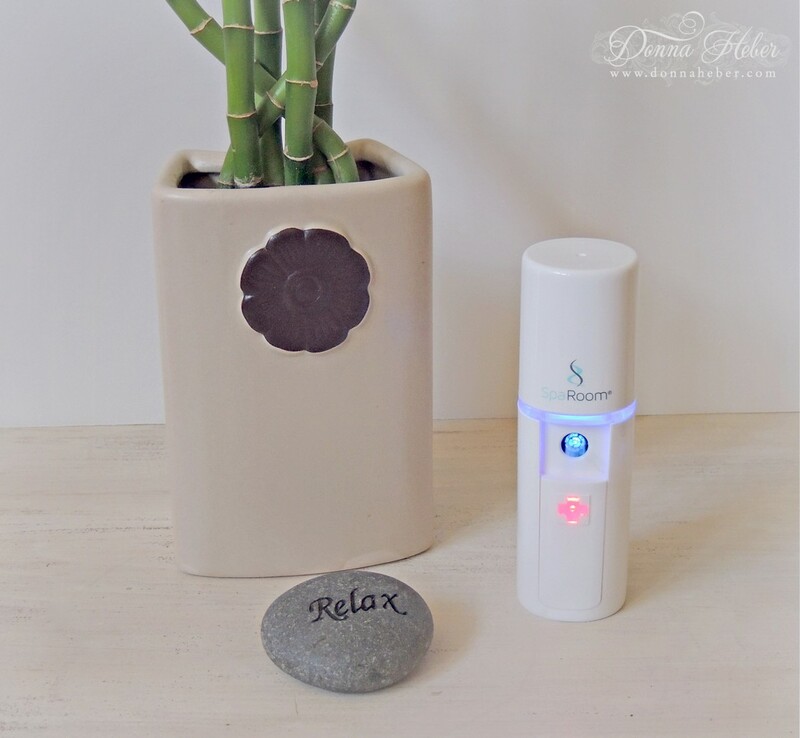 The mistifier works by reducing water into nanoparticles, creating a fine, gentle mist. Once your friends see it on your desk at work don't be surprised if they want one too. Can you say spa bliss on the go? I use it in my craft room, while at work and even when I'm sitting in my gazebo reading a book. Have a great weekend! I'm looking forward to the sound of rain tomorrow. We need it desperately as the grass here is brown and crunchy ... LOL! I have some lavender oil...hmmm that sounds pretty nice! Thanks for the info Donna. This sounds lovely, you always have some lovely smelly stuff here LOL.